After signing with the Colorado Avalanche during the off-season, Nail Yakupov –the former first overall pick of the 2012 NHL draft — will be looking to revitalize his career once more, after previous stints with the Edmonton Oilers and St. Louis Blues flamed out. Usually, whenever a top draft pick becomes a “bust”, there are a variety of reasons why it happened. In Yakupov’s case, it stems from inconsistency and injury-plagued seasons that hampered his ability to perform at the NHL level. Last season, Yakupov would only play in 40 games for the Blues, only scoring nine points in the process. As for injuries, Yakupov has been dealing with lower-body injuries on a yearly basis since he was drafted by the Oilers, including last season, when Yakupov’s campaign ended after a knee injury in March — suffered against the Avs, as fate would have it — required surgery. In what is more than likely his last chance to stay in the NHL, Yakupov will have to do whatever he possibly can to make an impact with the Avalanche this season. The largest challenge in his career has been able to find someone who has the ability to play alongside the Russian forward. On paper, it appears as if the Avalanche would be a perfect fit to be able to get Yakupov to play at his full potential, with a talented forward group that is filled with players who compliment his skill set. 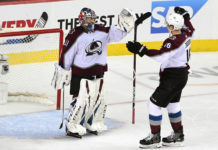 Playing in three of the six preseason games, Yakupov, still only 23 years old, notched one goal and three assists, that goal coming in the final preseason game against the Vegas Golden Knights, one that the Avalanche would walk away from with a 4-2 victory. 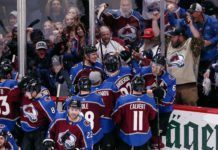 Fresh off of graduating from Harvard, Kerfoot was able to give the Avalanche coaches a reason to keep him on the team; showing up to training camp and quickly developing a natural chemistry during the preseason games with Yakupov and Matt Duchene. Although he lacks NHL experience, the combination of Kerfoot and Yakupov was impressive, as the two would combine for multiple scoring opportunities in the preseason. Although his name is shrouded by a cloud of trade rumors, Duchene’s special talents compliment what Yakupov can do nicely. The combination of the two highly-drafted players presents a deadly combination of speed and offensive creativity that could become a threat to any other team in the NHL — and the Avalanche have plenty of depth to place another skilled forward on a line with these two. After recording six points in four preseason games, MacKinnon is looking to be more consistent with scoring goals for this upcoming season. Although he would lead the team in points last season, MacKinnon would only score an underwhelming 16 goals in total. Already known as one of the fastest skaters in the NHL, MacKinnon has plenty of speed. Combining him with the silky-skating Yakupov would make life difficult for the opposition, as both players are capable of striking with precision wrist shots at any time. 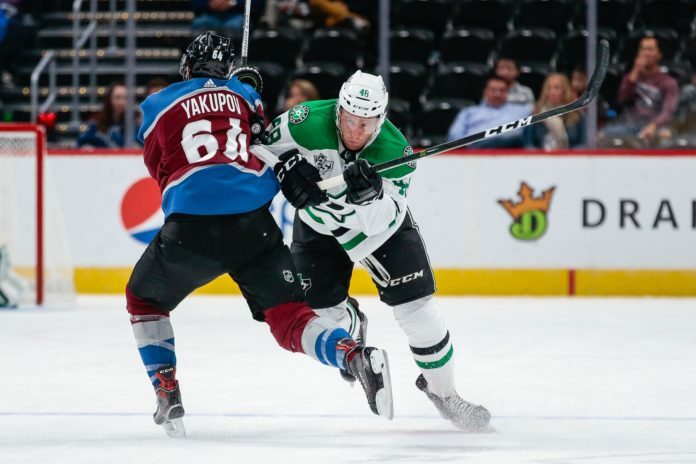 It is desperation time for Yakupov, but the Avalanche can may be his saving grace — there’s both a need and a fit for a player whose talent was never truly in question. 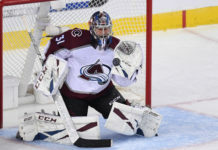 If the Avalanche are able to get this former first-overall draft pick back on track, his potential — and by extension, the Avalanche’s — can change trajectory in a hurry.